We mourn the loss of our friend and passionate advocate for the Paso Fino breed. 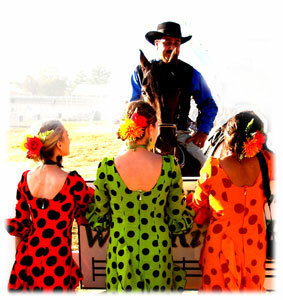 The Kentucky Paso Fino Horse Association is proud to be the home of the Kentucky Horse Park, where over 850,000 horse lovers from all over the world visit each year. Those visitors are able to daily see the Paso Fino on display. The Horse Park and our Kentucky Paso Fino Horse Association are working with love for not only the Paso Fino, but also in the promotion of all horses and their future in America. The Kentucky Paso Fino Horse Association continues to build new membership with an enthusiastic team of individuals who primarily reside in the Kentuckiana region. Our members actively participate in the day to day as well as show, trail and clinic activities of not only our association, but also regularly help to expand the awareness of our breed through their mixed breed activities. To support the KY PHFA membership; promote public awareness of the unique versatility of the Paso Fino horse; preserve the history, celebrate the tradition and ensure the future of the Paso Fino horse through exhibition, competition and participation in equine activities; and to celebrate achievements in all disciplines.